There are many different VoIP providers with many different system architectures, but only Star2Star uses Hybrid Architecture. Hybrid Architecture combines the best features of both hosted VoIP and on-premise systems, bringing customers a wide range of advanced UC features and clear, reliable calls. Hybrid Architecture links on-premise equipment like the StarBox® Voice Optimized SD-WAN with the Constellation network, giving Star2Star’s Scalable Cloud Communications advantages that no other system has access to. 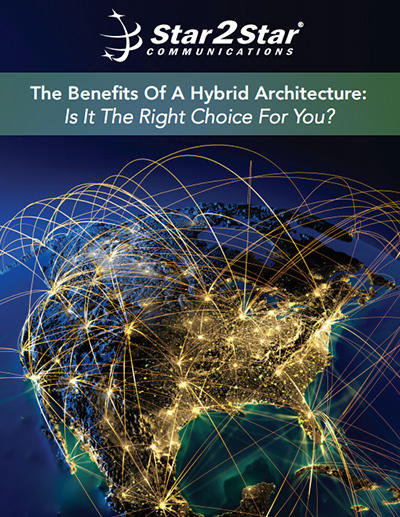 Read more to find out how Hybrid Architecture works to help businesses of all sizes.